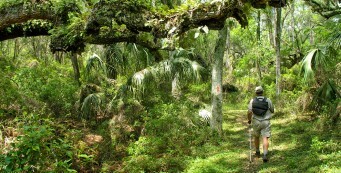 Florida Trail, Western Corridor | Florida Hikes! 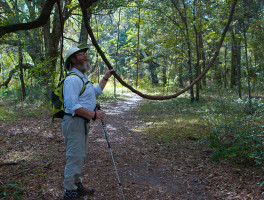 With its first segments developed as backpacking loops in Withlacoochee State Forest in the 1970s, the Western Corridor of the Florida Trail is one of two options for circling around the Orlando metro. 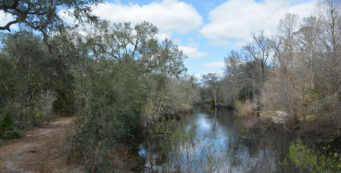 Well-established loops in Green Swamp, Richloam, Croom, and Citrus provide excellent weekend getaways for backpackers, while the thru-trail connects these trails with other public lands to provide a pleasant trail corridor up through the Cross Florida Greenway. 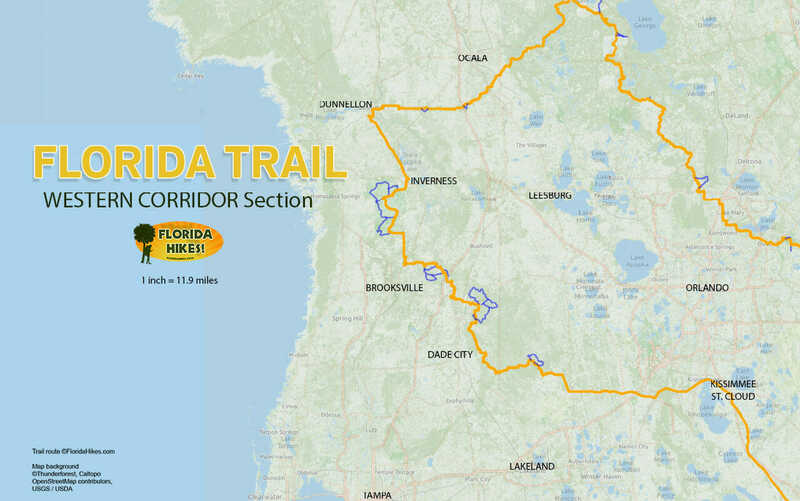 The route starts out with the Florida Trail’s longest roadwalk, but also showcases some of its most beautiful parks and preserves along the Nature Coast. FLOODING can be a concern along the Withlacoochee River floodplain from Green Swamp East through Croom. At times the river and its tributaries may be high enough to inundate the trail past the point where it is safe to wade it. Check the river gauges near Richloam and Croom before heading into those areas. Even when river levels are normal, the ford at Devil's Creek in Richloam can be dangerous after a rain since it drains a large floodplain. Never walk into flowing water. 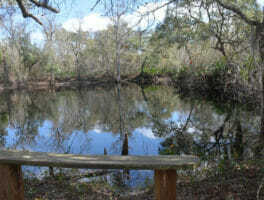 Free permits are required in advance for camping in both Green Swamp East and Green Swamp West. Contact the Southwest Florida Water Management District at 352-796-7211 or reserve online. Camping access is limited during hunting seasons. 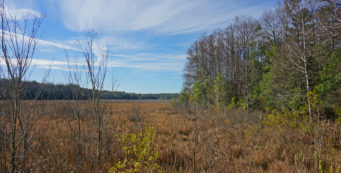 In Withlacoochee State Forest (Richloam, Croom, Citrus), camping is only permitted in designated primitive campsites (free) and recreation areas (fee). 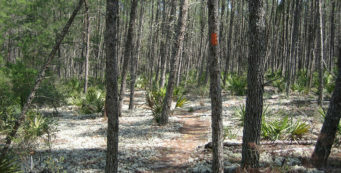 The Cross Florida Greenway provides a 39-mile corridor for backpacking the Florida Trail where hunting is not permitted. It's an ideal destination for overnight trips during general gun season in the fall. 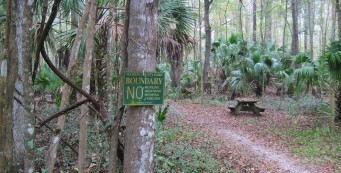 The Office of Greenways and Trails requires a free permit for primitive camping along the Cross Florida Greenway. 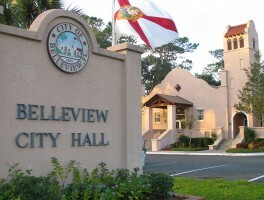 Call 352-236-7143 to obtain a permit. 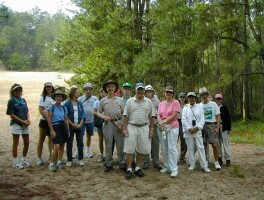 Florida Trail Association members do not need permits; simply carry your membership card with you. Dogs are not permitted in Chinsegut WEA or Perry Oldenburg WEA. 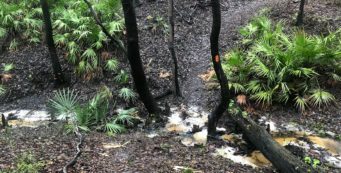 Portions of the trail are high and dry with limited water sources. 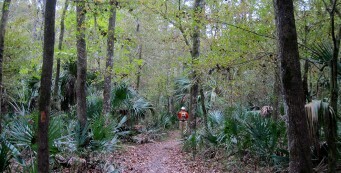 Because of this, logistical planning is crucial when backpacking in Croom, Citrus, and the Cross Florida Greenway. 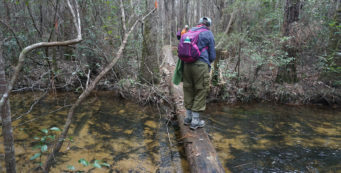 Brooksville, Dade City, Dunnellon, Inverness, and Silver Springs make great base camps for day hiking portions of the Florida Trail that surround them. 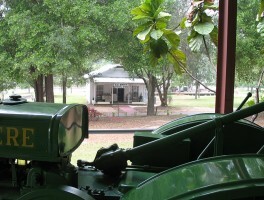 You'll find both motels and campgrounds on public land in these communities. 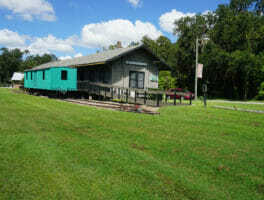 The trail route passes through urban, industrial, and suburban areas for much of the roadwalk connector up to Green Swamp, so make use of motels in St. Cloud, Kissimmee, and Davenport: stealth camping isn't safe. Use your street smarts while walking through urban residential areas and don't leave your backpack unattended. 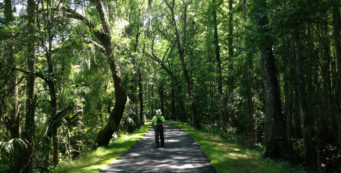 Dunnellon Trail- Expanding access to the Cross Florida Greenway across the Withlacoochee River in Dunnellon, the Dunnellon Trail provides a new destination for cyclists and hikers to explore the cypress-lined river floodplain. 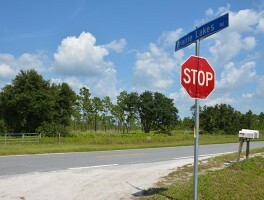 Florida Trail, Baseline to Marshall Swamp- Along the Baseline Road to Marshall Swamp section of the Florida Trail in Ocala, enjoy a swath of true urban wilderness, a mile-wide corridor edged on both sides by subdivisions and strip malls. 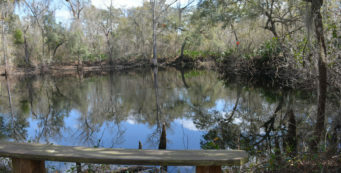 Florida Trail, Cross Florida Greenway- A prime destination for backpacking and day hiking near Ocala, the Florida Trail, Cross Florida Greenway stretches 30 miles between Dunnellon and Silver Springs. 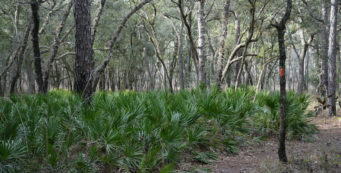 Florida Trail, Eaton Creek North- Between Eaton Creek and Salt Springs, this 12 mile segment of the Florida Trail in Ocala West is high and dry, showcasing the life cycle of the sand pine scrub ecosystem. 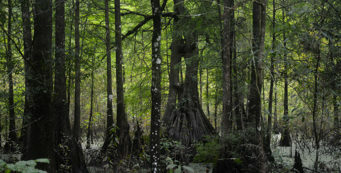 Florida Trail, Marshall Swamp- On this 5.6-mile round-trip hike, follow the Florida Trail on a linear journey through the giant trees of Marshall Swamp without getting your feet wet. East vs. West: which is best? 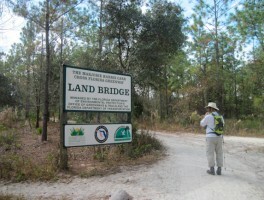 I hiked both as a loop, so here’s a rundown of how the two corridors of the Florida Trail compare through Central Florida – and a little trail history. 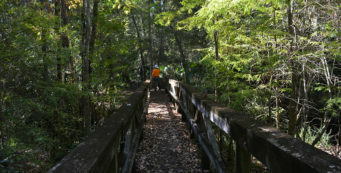 Gateway to the vast Green Swamp, Dade City offers easy access to day hikes and backpacking trips in the vast green spaces of Withlacoochee State Forest and water management district lands.